On the surface, buying a mattress might seem like a simple task, but if you don’t select the right one you might end up with a 100 pound unusable monster. Firstly, you need to have a clear about your requirements. Do you need a mattress that two people can sleep on without disturbances and in complete comfort? Are you looking a good mix of features and affordability? Or is pressure relief quality of the mattress your primary focus? Once you have your specific requirements chalked out, dive into the selection of some of the best mattress deals in the market. The three-layer construction of this mattress addresses the three key requirements in a mattress. It relieves pressure from the primary impact points on the body while sleeping, it hugs the body and it doesn’t absorb too much heat from the body to deliver a cool sleeping experience. So, if you’re suffering from back pain and looking for a new mattress, or if the current mattress is unable to support your habit of sleeping on the side, or if the mattress gets too hot through the night and disturbs your sleep, then the Leesa mattress will be able to address all of the issues. The mattress is made up of three foam layers. On the top is a 2-inch comfort foam layer that ensures adequate airflow and natural bounce. The 2-inch memory foam layer beneath the top layer is responsible for providing pressure relief and adapting itself to hug your body while you sleep, irrespective of the body type or sleeping position. Finally, there’s the 4-inch base foam layer that lends strength and durability to the mattress. It also helps maintain the structure of the mattress without making it feel excessively firm. The mattress comes with a 100-night trial period, which essentially means that you can return the mattress without any hassle and receive a full refund within the first 100 days of purchasing it, if it fails to deliver as promised. It has something to offer to all types of sleepers. Whether you prefer to sleep on your side or require pressure on your lower back to be relieved or need that little extra firmness because of your weight, this mattress will deliver a good night’s sleep. The 100-night trial period considerably reduces risk. The 4-inch base layer makes this mattress really durable and helps it retain its shape and bounce for many years. Even though it’s a firm, durable mattress, it’s lightweight. Given that the Leesa mattress doesn’t solve a specialized purpose, its price is a bit on the higher end. Buy this triple layer cooling mattress here. There are many mattresses out there that provide the extent of pressure relief that the Nectar mattress does. When its excellent body contouring ability is factored in, the Nectar mattress stands apart from most of its competition. The one complain against memory foam mattresses is the tendency to overheat easily. But gel infusion in the layers of this mattress takes care of that too. And if you’re looking for a mattress that can support two people with limited motion transfer, then the Nectar mattress satisfies that need as well. It’s also an eco-friendly mattress as none of the materials used are ozone depleters and no mercury or lead have been used either. 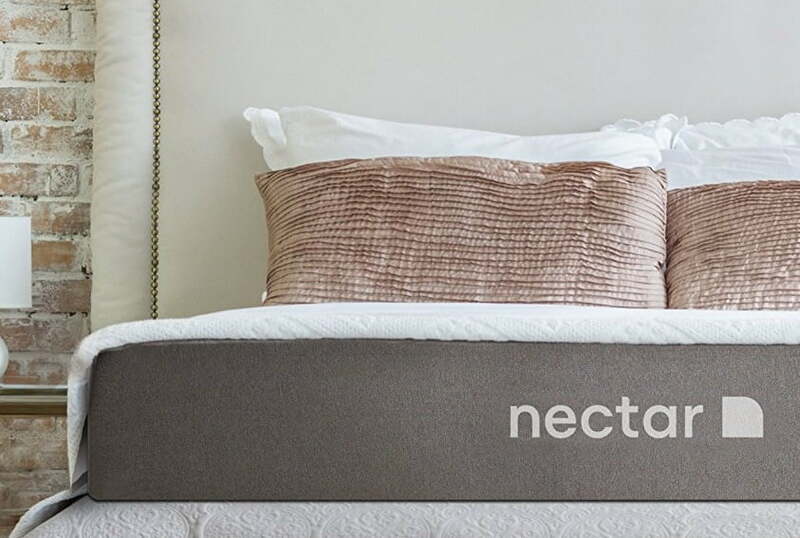 The Nectar mattress is made up of five separate layers. The top layer is a TENCEL cooling cover, which improves air flow and prevents overheating of the mattress while sleeping. The layer beneath that is made of quilted gel memory foam, which adapts according to the body type and sleeping position to provide excellent body contouring. It also aides the air flow and cooling. Next is a layer of gel memory foam that is responsible for uniform weight distribution and pressure relief. The fourth layer is made of adaptive high core memory foam. It provides the much needed support and rebound to ensure that the person sleeping doesn’t sink too deep into the mattress. Finally, there’s the base layer that makes the mattress stable and durable. Nectar offers an incredible 180-night trial period. If you aren’t satisfied with the mattress, you can return it within this period at no extra cost. One of the best mattresses in regards to pressure relief. Sleeping on this mattress feels like getting hugged. The 180-night trial period is probably the best on offer in the market at present. It literally means that you can try out the mattress for six long months. Unlike many memory foam mattresses, this doesn’t get overheated. If you’re looking for a mattress that sways more towards firm than medium, then this isn’t for you. The company offers lifetime warranty, but it’s not clear if it’s prorated warranty or non-prorated warranty. Pick up one of the best pressure relief mattresses in the market here. 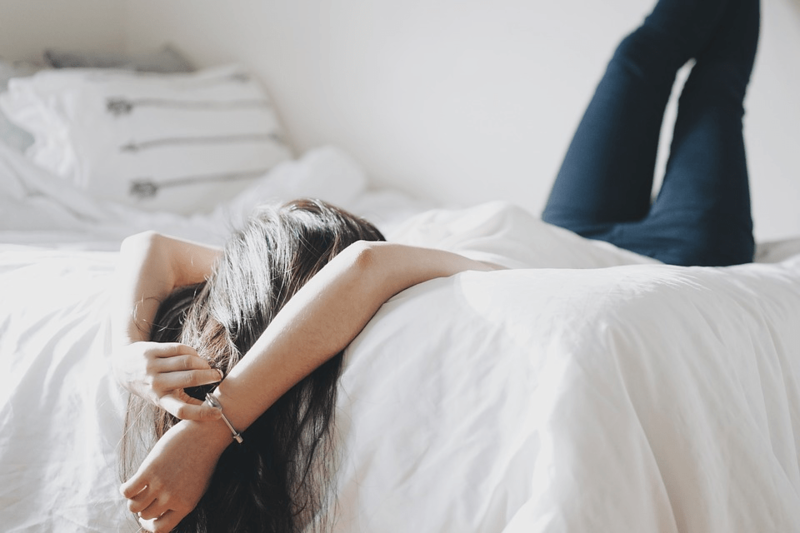 In some memory foam and latex mattresses the sink that is responsible for pressure relief engulfs the body to such an extent that you feel stuck. The Purple mattress made of hyper-elastic polymer, with its grid structure, provides excellent pressure relief without making you feel stuck or restricting your movement. The walls of the grids collapse under your shoulder area and beneath your lower back to provide ideal pressure relief and comfort, but the other parts of the grid remain intact so you don’t sink in excessively. This also ensures that your spinal cord is aligned in the perfect way, which eliminates chances of back pain or issues with posture. The mattress made up of two layers of polyurethane foam. The foam layers have a grid system, which essentially creates separate walls across the mattress. Depending on how much pressure is applied on the mattress at any point in time, these walls either provide support or collapse. The motion isolation technology incorporated in this mattress ensures that the pressure generated by your body weight is equalized, irrespective of the position you sleep in. It doesn’t trap or absorb heat while you’re sleeping. The foam used to make the mattress are CertiPUR-US certified. And the materials also provide protection against dust mites and allergens. The smart grid system employed in this mattress ensures that while you’re sleeping on your back your spinal cord retains its natural curve and while you’re sleeping on your side the spine remains in a straight line. A good mattress for people suffering from back pain. The twin XL size is available at a bargain. There’s no trial period being offered, which is a major drawback. Most mattresses with similar features and price range offer a minimum 100-night trial period. Get this hyper-elastic polymer pressure relief mattress here. If you’re on a tight budget but don’t want to compromise on either comfort or durability, then the Lucid hybrid mattress is for you. It combines memory foam and steel coils to deliver excellent sink and body contouring, with a motion-isolating base and durable finish. 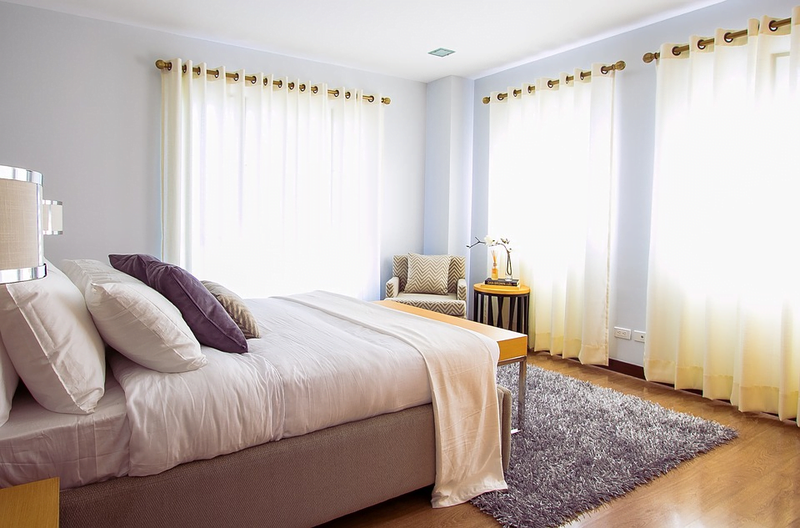 The mattress also does a great job of eliminating odors and keeping the sleeping environment fresh. The best part is that it’s available at a really affordable price. 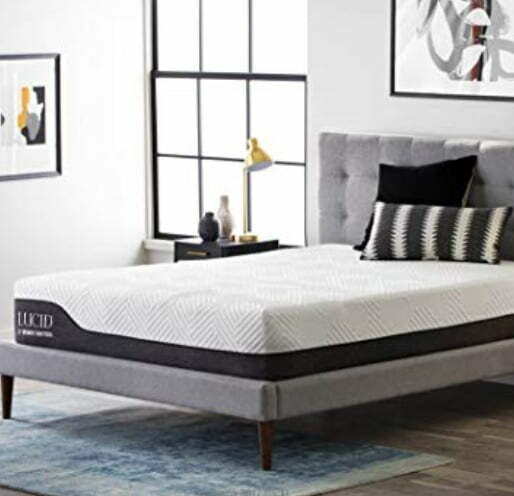 For those of you who aren’t on a tight budget, the Lucid hybrid mattress can also be bought along with an adjustable base set that can be charged via USB. The head incline goes from 0-60 degrees and the foot incline goes from 0-45 degrees. This mattress is truly a hybrid construction, with five separate layers and edge support. At the top is a 2-inch layer of memory foam that contains bamboo charcoal infusion to eliminate unpleasant odors due to sweat, pets, etc. Under this is a 1.5-inch layer of transition foam that’s infused with aloe vera. This creates a calm and fresh sleeping environment. A 1-inch layer of support foam separates the two layers above from the steel coil system. The medium-plush support of the mattress is due to the 6.5-inch individually encased steel coils. These are further supported by the 6-inch edge support. The mattress structure is rounded up with another 1-inch layer of support foam. The steel coil system ensures that movement is isolated and enhances the sleeping experience. In terms of value for money, very few mattresses will be able to compete or beat the Lucid hybrid mattress. The combination of memory foam and steel coils provides just the right amount of pressure relief and support. Even at this price range the motion isolation ability of this mattress is noteworthy. There’s no trial period. However, it needs to be mentioned that given the price, a trial period would be asking a little too much. The warranty is only for manufacturing defects. Buy is budget mattress packed with premium features here. This is a no-fuss mattress that offers a medium-firm sleeping experience that all types of sleepers can use and all of this at an affordable price. 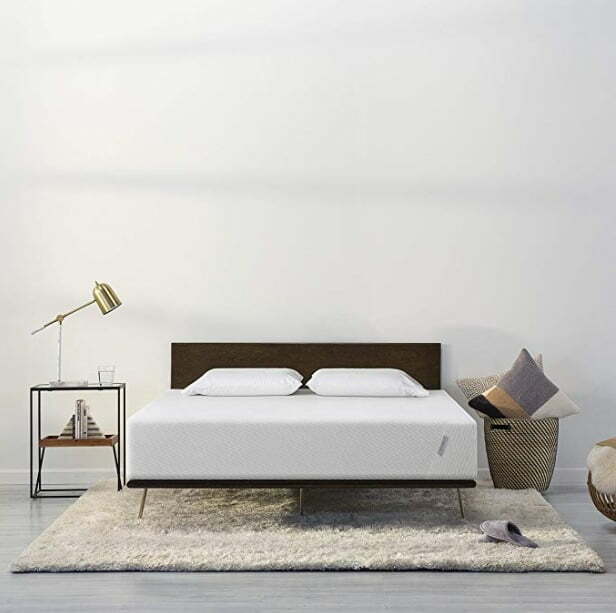 The mattress is made with Tuft & Needle’s proprietary adaptive foam, which provides a good mix of support and bounce. The material also manages to isolate motion so a person turning over on one side of the mattress won’t disturb the sleeper on the other side. This all-foam mattress does a good job of keeping your spine aligned as you switch from sleeping on your back to sleeping on your side at night. It also prevents overheating to ensure minimum disturbances through the night, which has become a standard feature in most mattresses these days. The mattress is made of two layers of foam. The first is the company’s proprietary adaptive foam, which Tuft & Needle says is a blend of cushy yet responsive. What they mean is that it provides a balance between cushioning and support, so you neither sink in too deep in the mattress nor does the mattress feel too firm. The thickness of this layer is 3 inches. The second is a 7-inch layer of support foam that creates the foundation of the mattress. 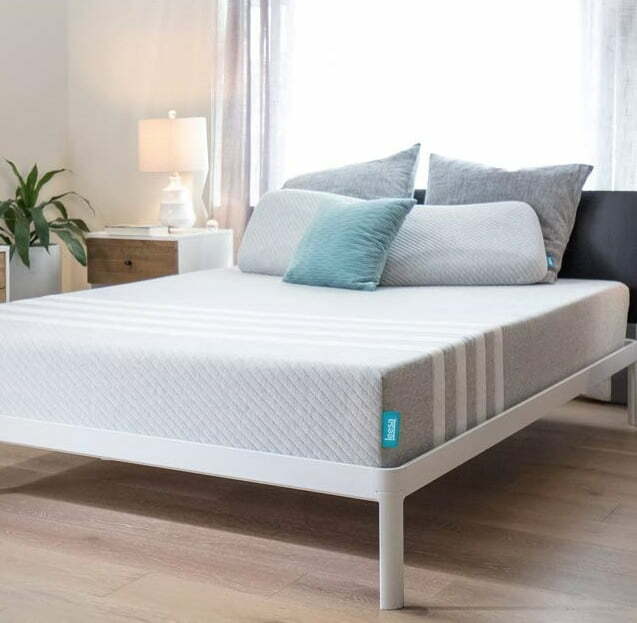 The adaptive foam is infused with a cooling gel and graphite that prevents the mattress from soaking in heat from the body, thereby ensuring that the mattress remains cool through the night. Tuft & Needle offers the now standard 100-night trial period, during which you can return the mattress and get a full refund. The Adaptive Foam used in this mattress is more akin to latex foam than memory foam, which essentially means that it provides good bounce. It’s a compact and stable mattress, so the sleeping experience mirrors the construction. It provides good back alignment, both while sleeping on the back and while sleeping on the side. Even while sleeping on the stomach, the pressure on the chest is quite low, which is exactly how a good mattress should behave. It’s excellent value for money and on top of that it also offers the 100-night trial period, which makes this mattress a really attractive option. It’s fine for people in the light to medium weight category, but people in the overweight category will not feel as comfortable. Even though the motion isolation feature is decent, two people on the bed for prolonged periods can diminish the bounce of the mattress. Get this value for money mattress here. If you’re looking specifically for comfort and pressure relief, then the Nectar mattress offers the best deal. It provides the best quality of body contouring that makes you feel secure and comfortable. The mattress is also an excellent choice for those who share the bed with a partner or spouse. The Leesa mattress isn’t far behind when it comes to pressure relief. It does a commendable job of relieving pressure off the primary impact points in the body. 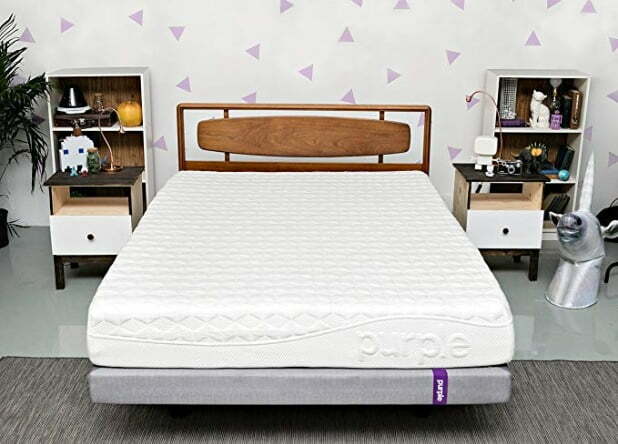 For people who are suffering from back pain or if you are concerned with body alignment in general while you are sleeping, the Purple mattress is the ideal choice. It’s grid-based construction is the perfect blend of sink and support. Finally, for bargain hunters, the Lucid mattress and the Tuft & Needle mattress are both value for money option. Probably the Tuft & Needle mattress edges it slightly, because it does offer the trial period with the option of a full refund.